FQ: Tell our readers a little about yourself. Your background, your interests, and how this led to writing a book. JENKINS: Jebediah Jenkins is just a crazy, fun, and amusing pen name I chose to use for my children's book series... Mac & Cheese Books for the Heart. My real name is Jason Brown. I graduated from Lee University with a degree in music performance in 1997. I have a wonderful wife and two beautiful daughters who each have contributed to the creation of these books (4 so far). I could not have written these books without their love and support. FQ: Have you always enjoyed writing or is it something you’ve discovered recently? JENKINS: I'm a musician at heart, a pianist... but I remember being told as a child that I was a very good writer. I feel the rhythm, the rise and fall, ebb and flow of words much like music. JENKINS: Mac & Cheese Books for the Heart is a series of reassuring books for children with imperfect parents and circumstances. Each book in the series contains a message assuring a child that no matter what happens in their life... (sickness, deployment, divorce or just a bad day) they are still loved! We all make mistakes or go through disappointments and unfortunate circumstances in life that can often leave a child feeling unsure of things. Every story in each Mac & Cheese Books For the Heart book is designed around something very specific a child may be facing and assures them that no matter what... they are still loved. FQ: What was the impetus for writing your book? 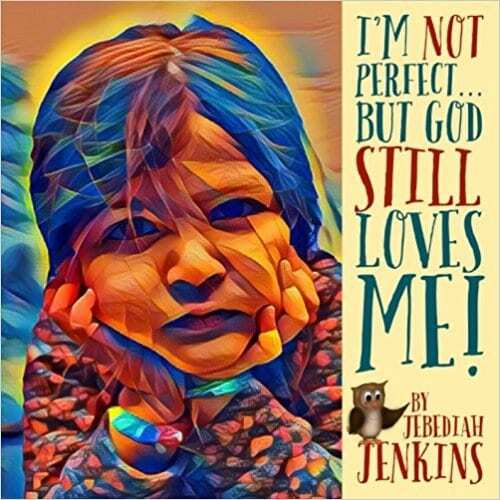 JENKINS: As a father and author, I wanted to give today's children an uplifting message through written words of affirmation and reassurance (life's not perfect, we're not perfect, but we STILL love you!) and fun, engaging and interactive pictures (children have to find Mr. Jenkins the owl who is carefully hidden inside each amusing picture throughout the books!). FQ: Please give our readers a little insight into your writing process. Do you set aside a certain time each day to write, only write when the desire to write surfaces, or …? JENKINS: My inspiration for Mac and Cheese for the Heart came from my own experience as an imperfect dad and my desire to use children's literature to make a positive impact in the lives of children today. I plans to use Mr. Jenkins the owl to address topics like bullying, deployment, cancer, and other real-life challenges children face each and every day. FQ: What was the hardest part of writing your book? That first chapter, the last paragraph, or …? JENKINS: It's a children's book so I don't claim to have had much of a challenge with the words. It was the artwork that took a great deal of time to get just right. Most of my time editing these books were spent on the artwork so I have a newfound appreciation for all of the amazing illustrators out there. FQ: Do you have any plans to try writing a book in a different genre? If so, which genre and why? JENKINS: I am currently writing a book for teenagers about anti-bullying based on my own painful experience as a child. However, I am writing the book as a self-help book rather than an autobiography. FQ: Who are your favorite authors? JENKINS: I seriously doubt anyone reading this would have ever heard of Joseph Prince from Singapore but I love reading his books. My other favorite authors are rather commonplace... C. S. Lewis, Charles Dickens, J. K. Rowling, etc. JENKINS: I just start writing without worrying about where it will end up so I guess it's the same. FQ: What is your all-time favorite book? Why? And did this book/author have any influence over your decision to become an author? JENKINS: Grace Revolution by Joseph Prince. I am sure his book has influenced me in some small way to create the Mac & Cheese Books for the Heart series. FQ: Where do you think you’ve improved the most in your writing process and ability and how do you think you have evolved? JENKINS: I've only written 4 children's books but it feels amazing to have accomplished something that seemed so daunting at first. I stumbled around in the dark until I finally found the light switch and things started coming together. FQ: Is this the first book, the second, etc. in the series and how many books do you anticipate writing in this series? JENKINS: I have written 4 books so far for children ages 1-6 featuring Mr. Jenkins the owl and am currently writing a self-help book for teenagers. FQ: Tell us a bit about the series. Do you know where the series will take the characters or are you working that out as you go along with each book? What has been the reader response to your series? JENKINS: Mr. Jenkins the owl takes children on a journey through both positive and negative circumstances and reassures them that, no matter what happens in life, they are still loved. FQ: Do you feel any pressure to hurry up and get the next book in the series published? Does this make it harder to write or do you work better under such pressure? JENKINS: I like to process ideas over time and write in short spurts as the ideas come to me. FQ: Do you see your series going longer than originally expected? More stories to write than originally planned? JENKINS: Yes... I would like to write at least 4 more books addressing divorce, deployment, illness, death and bullying. FQ: Many authors say that it’s hard to say good-bye to the characters in a series? Do you think it will be difficult for you? Have they become part of your life? JENKINS: I would love to continue using Mr. Jenkins the owl going forward and perhaps add a Mrs. Jenkins down the road. FQ: What made you/Why did you decide to write this book? Did you see a need? JENKINS: As a father and author, I wanted to give today's children an uplifting message through engaging interactive pictures and written words of affirmation and reassurance. Life's not perfect, we're not perfect, but we STILL love you! FQ: What makes your book unique? Why should readers pick up your book over others in the field? JENKINS: I wanted to develop a complete series of children's books using words of affirmation reassuring children that they are still loved no matter what happens in life. An owl named Mr. Jenkins takes children through a series of positive and negative circumstances and reassures them that although Daddy's not perfect (or Mommy's not perfect, etc), they are still loved. FQ: Tell us a little about your qualifications in your field. JENKINS: I grew up in a very strict, religious environment where little love and affection was given. My dad was an absent workaholic father and I do not recall a single memory of my parents hugging/kissing me. They had there own issues they were dealing with so I do not blame them. However, I truly believe if I had access to books like the ones I have written, it would have helped reassure me as a child that although my dad wasn't often around, he still loved me and although my mother was not affectionate, she still loved me. FQ: With so many books being released each year, what made you decide to publish your book? What makes your book stand out from the crowd? JENKINS: I wanted this series of books to deal with some tough issues like divorce, deployment, illness and even death to reassure children that they are still loved regardless of their circumstances. Life's not perfect, you're not perfect, we're not perfect, but we still love you no matter what. JENKINS: I had never written a children's book before so it took a lot of trial and error to move through the process... a couple of months.